In May 2017, 12 Nova Scotia wineries jointly launched their 2016 vintage wines bearing the appellation Tidal Bay. Aptly named “12 Tides,” this was the seventh release of this signature Nova Scotia wine. 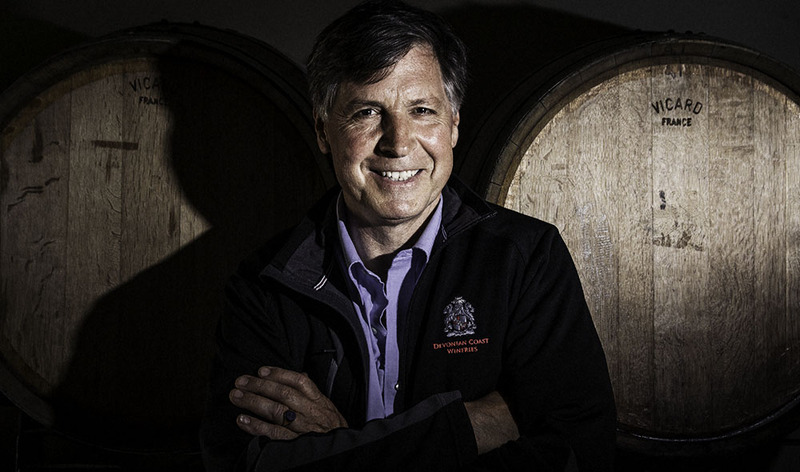 The success of the concept, unique in Canada, has rested on the creation of strict new grape-growing and winemaking standards and the creation of an independent tasting panel which must pass all wines that may subsequently bear the Tidal Bay designation. Showcased at the Vancouver International Wine Festival in February this year, Tidal Bay appellation wines, characterized by moderate alcohol and lighter food-friendly style, continue to demonstrate their growing popularity, not only across Canada but also in overseas markets. The blend here is l’Acadie, Ortega, Vidal and Traminette. It shows light straw colour with delicately perfumed scents of spring flowers, subtle green fruit and a light herbal overtone. Succulent green apple and white peach flavours come in a silky smooth palate with the merest touch of green herb, classic bright acidity and firm mineral grip. Finishes just a touch off-dry. This blend of l’Acadie, Seyval Blanc, Geisenheim 318 and New York Muscat offers beguiling floral scents with delicate green and yellow fruit on the nose giving way to grassy fresh green fruit with a touch of green herb on the palate. Finishes with classic Nova Scotia crisp acidity and mineral grip. Estate-grown Geisenheim 318, l’Acadie, Riesling and Muscat make up this aromatic, floral-scented wine with citrus, green apple and a pinch of minty herb completing the picture. Grapey green Muscat flavour is backed by typical stony mineral and crisp acidity. L’Acadie Blanc, Seyval and New York Muscat constitute the blend here with soft, rather shy fruit blossom, delicate fruit scents and crunchy green apple with subtle Muscat flavours on the palate. Signature stony mineral, zesty acidity and a light green herbal note culminate in an agreeable, just off-dry finish. Characteristic fresh floral and green fruit with a whiff of grapefruit and stone fruit lead the way for appealing flavours of peach, citrus and green apple in the mouth. Silky impression on the palate contrasts with firm mineral grip and zesty acidity enlivened by subtle spritz. Offers broad appeal with plenty of charm. Floral blossom and delicate green fruit on the nose broaden out with fresh green apple, grapefruit and white peach on the palate. Brisk acidity, drying mineral with grapefruit and peach notes linger on the just off-dry finish. Opens with light floral and soft stone-fruit scents evolving into distinct peach, apricot and green fruit flavours, supported by gritty mineral, mouthwatering acidity and stone-fruit notes on the off-dry finish. Characteristic Tidal Bay varieties l’Acadie, Seyval and New York Muscat are blended here with the more unusual Frontenac Blanc and Frontenac Gris. Shows very pale in the glass, with lively aromatic floral, bright grapefruit and lightly pungent Muscat scents. Citrus, green apple, stone fruit and a trace of green herb appear on the palate, with lively acidity, mineral and fresh fruity and floral notes on the finish. Highly aromatic nose reveals scents of Muscat, attractive green fruit and a whiff of minty green herb. Piquant, intense green fruit flavours show green apple, Muscat grapey character, with a prickly tingle in the mouth, lively appetizing acidity and chalky mineral. Finishing slightly off-dry, this is a fine match for oriental dishes and spicy seafood preparations. Fine, aromatic floral bouquet with citrus and tropical fruit notes yields to primarily yellow fruit flavours, with tropical fruit, ripe orchard fruit and a subtle honeyed overtone; refined acidity, drying mineral and a touch of apricot on the lightly off-dry finish. Just three varieties make up this blend: Seyval Blanc, l’Acadie and Petite Milo. The result shows floral, green fruit and light herbal and smoky notes, with green apple flavours dominant in the mouth. Smooth and silky on mid-palate with characteristic lively acidity, minerality and fresh green fruit with stony mineral rounding out the off-dry finish.